CMS can be better understood with term “Content Management System”. It is a web-based tool which makes the administrator or website or any other person authorized for adding, deleting and updating website contents, pages and graphical images from the site. A CMS driven site also makes you able to refurbish your extant website in the locution of contents and other text sources. In this procedure, there is no requirement of programming skills and technical knowledge. These methods can be operated manually or with the help of a computer. If you are looking for the CMS development in Delhi, you need to locate the address of Aaditri Technology, where you get the best satisfactory and long-lasting product services. We deliver you a complete control of each and every website pages so that you put your desired information on your website whenever you need. We develop CMS on PHP and ASP.NET programming languages with SQL Server Database and MySQL 5.1, so you can get a cost-effective web solution for business en masse. You’re referred customized, unique and eye-catching homepage design. Optimized website design and layout. Unlimited Services and Products images for the display. To prevent from spam, CAPTCHA option for online users. 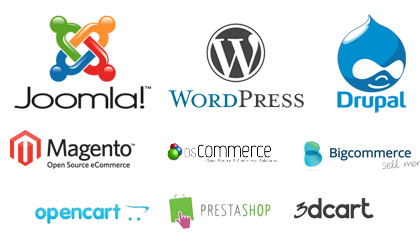 Site affirmation in all leading browsers like IE, Google Chrome, Mozilla Firefox etc. User-friendly navigation techniques to make your users happy. Customized Meta Tags for SEO purpose. Aaditri Technology is Delhi-based IT Company delivering cost effective, high quality, authentic result-oriented website designing and development, ecommerce website development, CMS, Responsive Designing, SEO, and PPC like solutions on time for every clientele. Skill, Professionalism, and Expertise are the measures we employ to make the web work best for your business bringing in maximal return on your investment in the minimum possible time. We are specialized in “Content Management System” and make sure that you won’t have to go through any complaint procedure from your user side. The kind of durability that should exist in the content management, we basically configure that. After making an extensive research on the subject, we come to the conclusion that a regular or heavy navigation of the website causes trouble for it. To develop solution for this, we have come with this efficient, durable and high-quality CMS which would make an employer relax for a longer period, no matter how heavy is trafficking of the website?. Else, Aaditri Technology is also known for its other web solution services. Conclusion- Content management system is all about managing your website with efficient and durable web tools. Aaditri Technology gives an explicit and exemplary experience regarding the service.